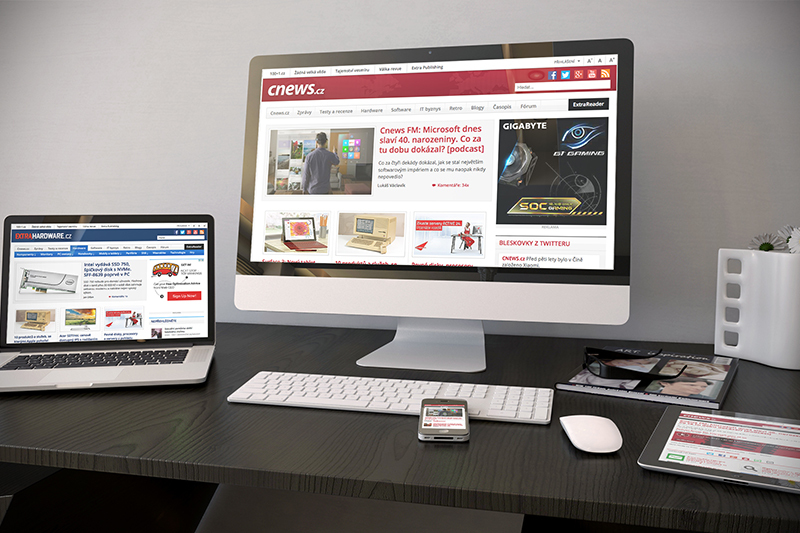 Cnews.cz is a news portal dedicated to the ICT technology. It is built upon Drupal for Extra Publishing company. It works like an aggregator for other websites of this company but also publish its own content. It uses sharing user account between more Drupal installations, built-in advertising system and several dynamic parts. I also wrote custom gallery module with backend and frontend parts.